We loved this apartment! It was so clean and comfortable. It is situated in a small town (Minori) in Italy. The town and people are beautiful and friendly. This is Italian hospitality at its finest!!! This apartment had plenty of room for the three of us. It is clean and well equipped. What a view from the living room windows! The washing machine was appreciated, and there are lines to hang out your clothes which dry very quickly in the breeze. It was airy and light, when the windows were open, yet quieter and dark at night when they were closed. There is an air conditioner unit in the living room and another one in the master bedroom. Unfortunately, the second bedroom did not have one. It is breezy at night if you want to leave the windows open, but be aware that it is situated right in the heart of the village, near the restaurants, beach, and soccer field. Lots of activity late at night. There are 72 (yes we counted them) steps from the street to the apartment, but it is a charming climb through the open stairway in this old building. Franco was there when we moved in and out, helping us with our luggage. He was also helpful in booking activities. The people working the coffee shop downstairs are also quite helpful and get fresh croissants delivered every morning! Public bus service is in front of the building. 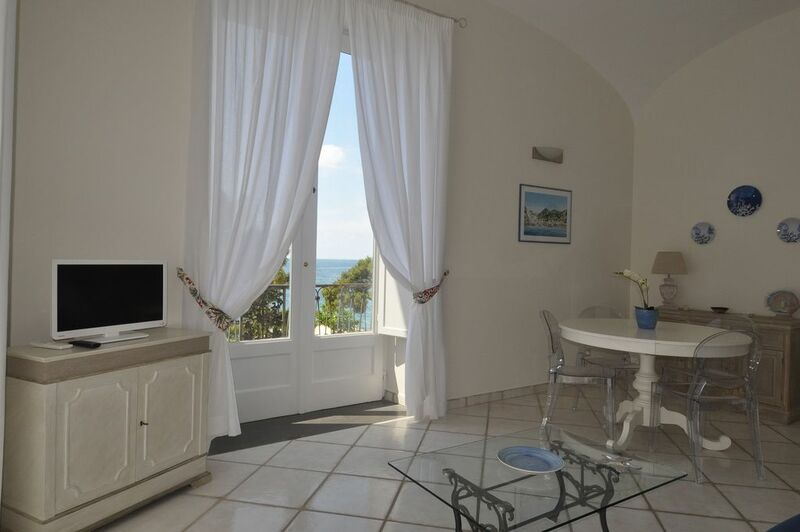 The apartment is perfectly located for exploring the Amalfi coast and Capri. The pictures on the web did not give full credit to the apartment, it was much nicer and the view of Minori was stunning. Everything went smoothly. The transport from and to Naples airport was organized perfectly and we were met by Franco who helped us with everything that we needed. A perfect vacation apartment that suprised us positively. Great location, nice touches and very comfortable with balcony views over the promenade of delightful Minori. Franco was very helpful and we really enjoyed our stay.